Cohen Milstein is one of the country’s premier law firms for complex civil ligation on behalf of plaintiffs. With approximately 80 attorneys and four offices, we specialize in groundbreaking and high-stakes litigation concerning antitrust, civil rights, consumer protection, employee benefits, international human rights, securities, and matters representing state attorneys general in civil law enforcement investigations. Cohen Milstein’s Washington, DC office seeks a junior-level attorney, with one to four years of litigation experience, to work with our Human Rights Practice Group. The Human Rights Group represents victims of human trafficking, forced labor, torture and other abuses in civil suits in U.S. courts. Candidates must possess excellent writing and analytical skills and strong academic credentials. Foreign language skills and experience in international human rights or working with victims of human trafficking are a plus. 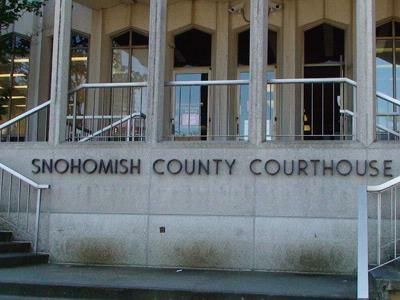 The Civil Division of the Snohomish County Prosecuting Attorney’s office seeks an attorney with a minimum of 4 years of experience representing and advising clients on land use and environmental law, municipal law, or real estate issues. The current opening is in the Land Use and Environmental Law Unit of the office. This unit provides comprehensive legal services to county officials and agencies on a broad variety of legal matters with a focus on land use and environmental law matters (excluding labor, employment, and tort claims). Duties include conducting legal research, providing oral and written legal advice, drafting contracts and other legal instruments, developing legislation, and representing Snohomish County and its officials in litigation before courts and administrative tribunals. Applicants should have a strong interest in public sector law; excellent research, analysis, and communication skills; and experience in computer-aided research and word processing. The ability to work with other attorneys, support staff, elected officials, and county personnel is essential. Membership in the Washington State Bar Association is required upon hiring. In accordance with state law, deputy prosecuting attorneys must be United States citizens. The salary depends on qualifications. The position includes a generous benefits and leave package. Snohomish County is an equal opportunity employer. To apply, please submit a letter of interest, resume, writing sample and references to: Jason Cummings, Chief Civil Deputy, Snohomish County Prosecuting Attorney’s Office, Civil Division, 3000 Rockefeller, M/S 504, Everett, WA 98201. The deadline for submittals is June 2, 2014. The Open Society Foundations work to build vibrant and tolerant societies whose governments are accountable and open to the participation of all people. The National Security and Human Rights Campaign promotes respect for human rights and civil liberties, open society values, and the rule of law in U.S. national security policy with a focus on counterterrorism measures and their domestic and international consequences for open society. The Program Officer will work as part of a team, based in New York, to advance the Campaign’s overall goals. In an exceptional case placement in Washington, DC may be considered. The Program Officer’s primary responsibility will be to oversee strategy development and grantmaking relating to the Campaign’s goals, under the direction of the Campaign Manager. The Program Officer shares responsibility for building connections between this work and the other priorities of U.S. Programs and OSF’s work internationally. Click here for a full job description and application instructions. Established by Congress in 1974, the Legal Services Corporation (LSC) is the country’s single largest funder of civil legal aid for low-income Americans. LSC currently funds 134 independent, non-profit legal aid organizations with more than 800 offices throughout the nation. LSC’s mission is to promote equal access to justice and provide grants for high-quality civil legal assistance. 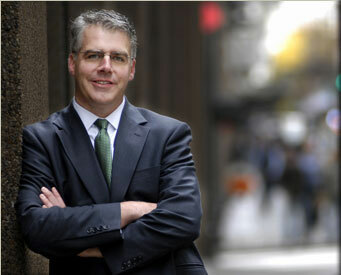 The Office of Legal Affairs (OLA) serves as in-house counsel to the Corporation. The Office carries out traditional “lawyer” functions, including negotiating, drafting and reviewing legal instruments such as contracts, settlement agreements, releases, applications for funding, and grant documents, and representing the Corporation’s interests in litigation, directly or through retention and management of outside counsel. Graduate Fellows perform a broad variety of work including legal research and writing on a myriad of topics such as interpretation of federal statutes and regulations regarding appropriations, federal grants and oversight of federally-funded legal services, non-profit corporation legal issues, and Freedom of Information Act (FOIA) issues; assistance with LSC’s rulemaking; drafting and review of contracts; drafting of internal policies; and assistance in litigation matters. Research, draft, edit, fact check, proofread, and file comments, testimony, motions, and other documents with public utilities commissions and other energy agencies in California and other states. Develop proposals for local renewable energy programs and policies. Participate in workshops, hearings, and energy policy events.